Two Southern Illinois University Edwardsville School of Nursing (SIUE SON) faculty and one student were honored at the March of Dimes’ seventh annual Nurse of the Year Awards Saturday, Nov. 10 at the Renaissance St. Louis Airport Hotel. The March of Dimes presented awards across 20 disciplines to nurses who exemplify an extraordinary level of patient care, compassion and customer service in their respective disciplines. Rebecca Luebbert, PhD, RN, PMHCNS-BC, and Jodie Warsing, DNP, APRN-BC, were honored in the education and behavioral health categories, respectively. Robert Ehrhardt was the student nurse recipient. Christine Durbin, PhD, JD, RN, associate professor and chair of the SON Primary Care and Health Systems Department, nominated both Luebbert and Warsing. Luebbert is an associate professor of primary care and health systems nursing. Her clinical area of expertise is psychiatric/mental health nursing. Her scholarship activities include human subjects protection, competency and informed consent, and suicide assessment. Durbin pointed to Luebbert’s popularity among students stemming from her unique ability to make the complex seem simple. “This ability is especially evident in her approach to teaching psychiatric nursing,” Durbin said. “Her attitude and manner defuses students’ anxiety and enables a clear assessment of a patient’s behavioral presentation. One of Luebbert’s initiatives is a Suicide Prevention grant in collaboration with the SIUE School of Pharmacy (SOP) and Counseling Services. The goal is to raise awareness about suicide prevention across campus constituencies, students, faculty and staff. She conducts training sessions that seek to raise awareness regarding suicide warning signs, how to protect an individual contemplating suicide and appropriate actions to take. Another Luebbert initiative to assist vulnerable populations is a collaboration with the SOP, and the SIU Schools of Medicine and Dental Medicine to address the psychosocial co-morbidities associated with chronic pain. She and her colleagues developed pain education modules that were published on the National Institute of Health (NIH) Centers of Excellence in Pain Education website for public use. Luebbert has mentored students in the Freshman Direct Entry admission program to the SON and mentored students in the Student Nurse Achievement Program (SNAP) program for disadvantaged students. She continues to provide consultations for graduate students with Institutional Review Board questions. Warsing is a lecturer and has provided care for patients diagnosed with mental and/or behavioral disorders for 20 years. 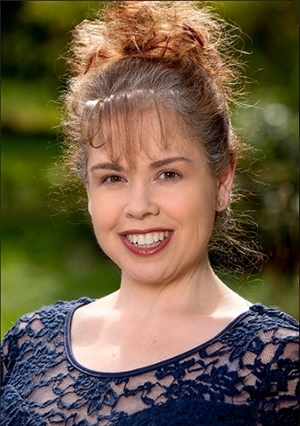 In 2005, she joined Mid-America Psychiatry and has worked alongside two psychiatrists for the past 13 years. Her practice is a mix of in-patient adult, geriatric clients and outpatient care that extends from the clinic setting to nursing home facilities. She makes rounds in rural communities as far as four hours away, and multiple towns and cities in the Metro East. “Dr. Warsing is a quiet but powerful proponent of compassionate, evidence-based care and education of not only the patient diagnosed with mental/behavioral health disorders, but also their caregivers,” Durbin said. “The foundation for her practice lies in the education and skills that she continually shares with the patients, the patients’ families and their caregivers. Warsing has also made it a mission to keep her congressional district members aware of patients with situations that require increased funding and better opportunities for intelligent care. Ann Popkess, PhD, RN, associate professor of primary care and health systems nursing, and SON interim assistant dean of undergraduate programs, nominated Ehrhardt and noted his passion for and history of volunteerism. He has volunteered on food buses distributing nourishment to homeless populations, helped at animal shelters and donated his time at the local veteran’s association. He also became the volunteer coordinator for his residence hall. Ehrhardt was among 13 SON students who participated in a global health mission trip to Costa Rica during March 2018. “Robert was not only hard working, but also conducted his work with individuals in an unbiased manner regardless of their background, demographic or socio-economic status,” Popkess said. Ehrhardt combined his extensive volunteerism with his academic ability to become an exceptional senior nursing student. He was selected through a competitive interview process to the SON’s senior fellowship program to complete his nursing clinicals in a regional emergency department. A selection committee of healthcare professionals reviewed the nominees and narrowed the field to 200 finalists. Nurses employed in the state of Missouri and the Illinois counties of Jersey, Madison, St. Clair, Clinton, Monroe and Randolph are eligible. A complete list of the finalists is available at nurseoftheyear.marchofdimes.org. Whether serving as a healthcare provider, educator, researcher, volunteer and/or advisor, nurses play a critical role in advancing the mission of the March of Dimes, which is to improve the health of all babies by preventing birth defects, premature birth and infant mortality. The Nurse of the Year initiative supports the mission while recognizing exceptional nurses through the region, celebrating the profession and creating awareness of the strides made in this growing field. The 2018 Nurse of the Year was presented by Maryville University. 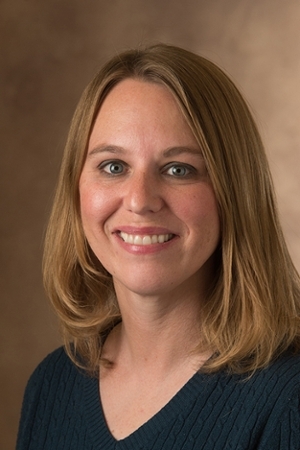 Corporate partners include SIUE, Barnes-Jewish Hospital, St. Louis Children’s Hospital, Goldfarb School of Nursing, SSM Health, and Mercy Healthcare, Inc.
Photo: (Top) Rebecca Luebbert is an associate professor of primary care and health systems nursing in the SIUE SON. (Bottom) Jodie Warsing is a behavioral health lecturer in the SIUE SON.